Album number two from the UK’s premier post-jazz power trio comes with a promise of a ‘darker, heavier’ vibe, but there’s no lessening of the kind of technical precision for which they’re known; opening track ‘Fumes’ features some ingenious time signature switches underneath guitarist Preston’s light, airy chording and fleet, mellow toned single-note runs that recall Mick Goodrick or even Pat Metheny. Laurie Lowe shakes things up with an explosively virtuosic drum solo. ‘Beat Five’ has pretty guitar figures over a chatteringly complex drum part outlining some really ingenious rhythmic tricks that somehow manage to be in 4 and 5 at the same time, plus a characteristically fleet fingered display from Glasgow. 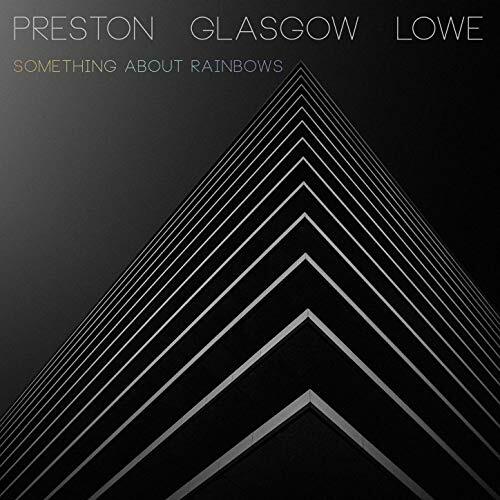 ‘Something About Rainbows’ delivers the promised added heaviness via overdriven bass and Holdsworthian guitar over a heavy stomp from Lowe; his high-pitched snare and the innate restraint of Preston’s approach still sets this at the jazz end of jazz rock, despite the band’s complete eschewing of anything that might be recognised as a jazz lick. While there are clear echoes of fusion acts it is perhaps Robert Fripp who is more of a guiding light here; the chops on display are simply awesome, but in the end it’s the precision and control that are the most remarkable aspect. ‘May’ illustrates Kevin Glasgow’s unique harmonic imagination; ‘Truex’ is the nearest the trio come to a feelgood groove and could actually fit into a Gilles Peterson playlist were it not for the unorthodox bass fills - there’s a clear sonic resemblance to the later output of obscure Kraut-rockers Kraan which is probably entirely coincidental. ‘HWH’ are the initials of 20th century 12-tone composer Hans Werner Henze; an appropriate tribute to the wide-ranging, unclassifiable artist who also incorporated jazz and rock elements into his work. PGL are a one-off with global potential; there’s no-one else quite like them.